Social Media and just plain phone usage has boomed to an all new level; unfortunately, there is still one place that has not caught up to the times and the ever-booming trend of offering free Wifi: Cruising. It is just too hard to stay connected while you are out in the middle of the ocean without spending an insane amount of money on your cell phone bill. On our recent trip to the Bahamas on the Disney Dream we had to learn just that. To [email protected] or disconnect at sea, that is the question. 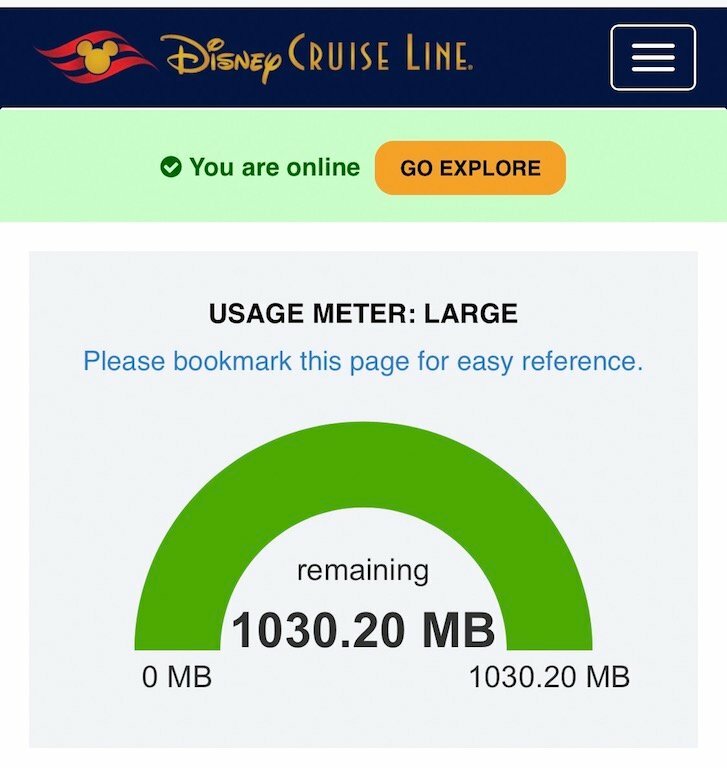 The Disney Cruise Line Navigator App and the [email protected] internet may help fulfill some of those needs without burning a hole in your wallet. 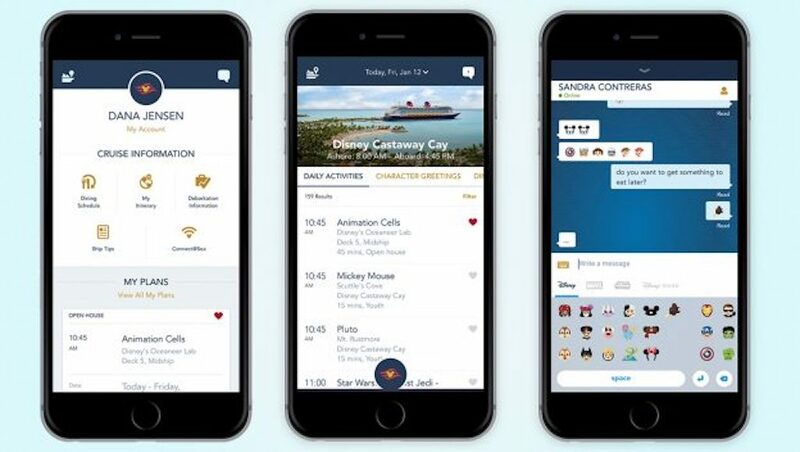 Download the Disney Cruise Line Navigator App before you get on the ship. Don’t worry, it is complimentary. This app is very helpful when you are traveling with a number of people in different rooms or if everyone is scattered around the ship. While using this app you will be able to instant message the other people in your party who also are using this app. You have to check it periodically because sometimes the push notifications do not go through to notify that you have a message. That happened to us a few times with the others that were in our party. Another handy reason why you should download this app is because you have everything at your fingertips, like plans you booked, daily activities, restaurant menus, table assignments, and entertainment schedules! I was really impressed and happy that we could check our schedule and instant message other people. The special Disney emojis were a fun plus! The hardest thing to do was to learn to stop spending time on Twitter and Instagram, YouTube, and playing games on the phone. Listen, we are all on vacation and you need to live in the moment and enjoy your surroundings. But sometimes we just need to check our phones and text people back or look at social media. The first day you get on the ship, you can sign up for 50 free megabytes (MB) of data on your phone. This is for the first day only, so make sure to at least get the free 50 MB, that way you can use it if you do not want to pay for anymore data. You can use it throughout your stay on the ship, but be careful, it goes by fast. Word to the wise: Always log off the internet when you’re done. When you get to your stateroom, there will be instructions on how to log on to your web browser and purchase your internet package. The prices may vary per ship. Make sure to bookmark this page for future reference. From here you can choose the internet package that you would like, and once you purchase the package you will get a usage meter to let you keep track on how many MB you have left. This is the page where you will have to log out; simply just exiting out of the browser does not mean you logged out. Also, logging out can be finicky at times and could give you an error message. My luck, I received this numerous times when trying to log out. I would wait a few minutes and try again and I would successfully log out. But Tyler was not so lucky with logging off — then we both forgot about it and went to see a show. When we remembered the next day, the internet was already used up. Fear not! The cast member at the [email protected] desk was amazing and gave him his data back, plus a little more for the inconvenience. Is it worth purchasing the internet package? That is up to you. The internet is not as fast as we are accustomed to on land so streaming videos will take a lot of time and a lot of data. Before you know it, the package you bought will be all used up. For me, I use my phone a lot and I drastically cut my usage down from normal, and only used 1050 MB in 3 days. That was enough to check my emails and respond to them, catch up on social media, text my family, and look through some of the latest Disney news. But, that was all I needed to stay up-to-date on the news and to enjoy my cruise. There were so many events throughout the day that we enjoyed on the cruise that we forgot about using our phones for most of the day. Only when we had a little downtime did we have the urge to use our phones. If you are holding back from cruising because of not having any internet, don’t worry, it is available. But you will have so much fun on your cruise that will not even miss it. Also, the Disney Navigator App is great for communicating with everyone that is traveling with you, since not everyone wants to do the same thing. It will always keep you connected.